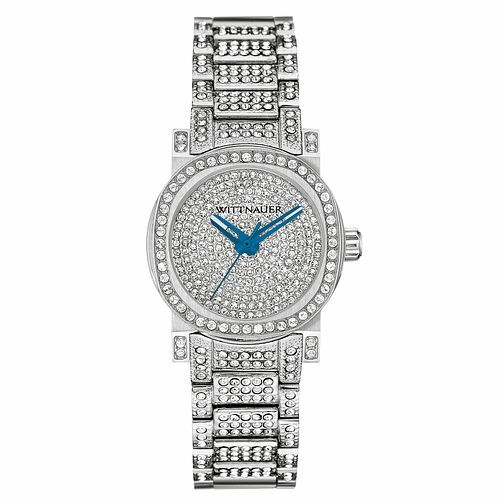 Fully encrusted with crystals, this Adele watch reflects the epitome of glamour and gleams on the wrist. The blue hands offer a classic contrast to the silver dial and give this watch a traditional and elegant dimension. Whilst being intricately crafted, this watch still has 50m water resistance, making it beautiful yet practical.